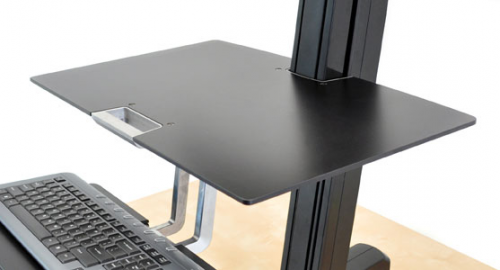 Upgrade your WorkFit-S workstation (Single or Dual) with a worksurface and handle. Keep a tablet computer, phone, cup of java or task-related items where they can be quickly accessed. 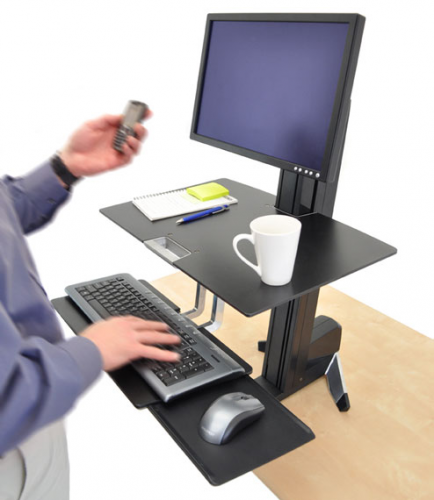 Includes a handle for ease of moving the WorkFit-S from a sitting to a standing position.